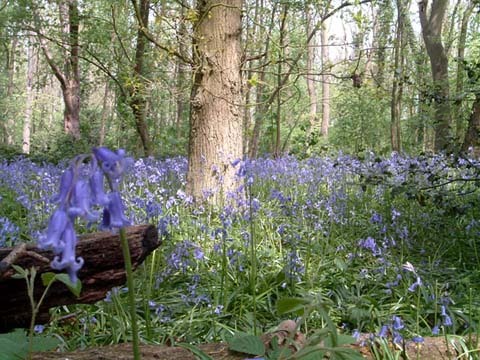 Clayfield Copse and Blackhouse Wood are located on the northern outskirts of Reading, on the Berkshire and Oxfordshire border, and consist of open meadows and native woodland. Some of the woodland is actively managed as hazel coppice whilst the meadows include areas of wild flowers and regenerating woodland. In 1991 the site became Reading's first local nature reserve and in part is designated as ancient woodland containing service trees, wild pear, bluebells, common orchids, wood anemones, etc.. Approximately eight hectares in size, the site is the only outcrop of London Clay north of the Thames River in Reading and makes up the southern tip of the Chilterns. Formed in 1989, the 'Friends' organise monthly tasks on the 1st Sunday of the month throughout the year, see Programme for further details. Unless stated otherwise tasks are from 10:00 until 13:00. Meet in the Caversham Park Road car park. Full details of current tasks can be found in our Programme.